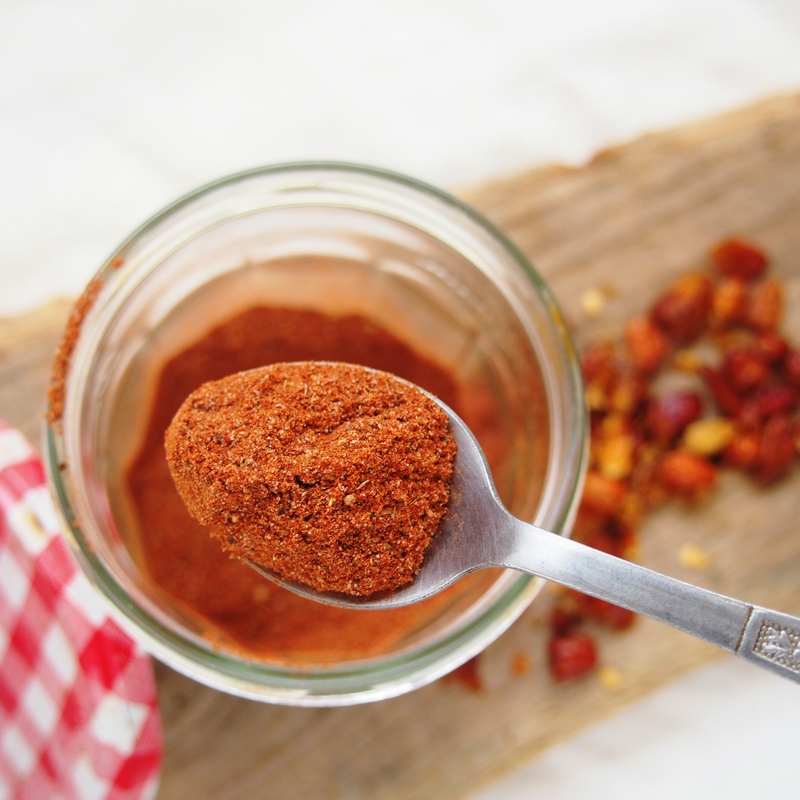 So I have kind of fallen in love with spice mixes recently… See my recipe for Sambar Masala Spice Mix. I love making that big jar of mixed herbs and spices and have it just waiting for me to easily transform a meal. I find it much more time efficient than measuring out the exact spices everytime you make a meal… This way you have a selection ready to go last minute if your in a hurry. As I am in Cape Verde where one of the main languages is Creole it seemed fitting to put together my own Creole recipe. 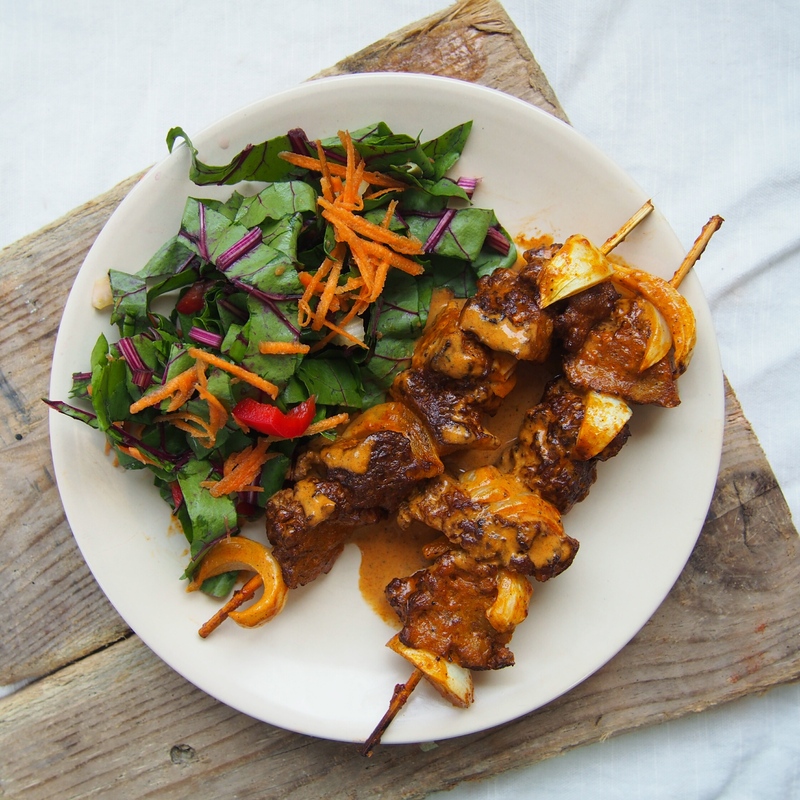 As with the Sambar Masala recipe, after this seitan recipe, my favourite way to enjoy Creole Spice Mix is on oven baked potato wedges or roasted sweet potato. It also makes an awesome rice dish when you replace the spices in this Vegetable Paella with the Creole Spice Mix. For this recipe I used a Seitan I made from scratch, washing a plain flour dough to get to the gluten… It’s a pretty long process and not ideal if you have a very busy life… But I find it an interesting process and it’s the only way for us to get Seitan here with no gluten flour for sale. You can just as well use store bought Seitan for this recipe or your favourite homemade simmered Seitan recipe. This recipe for Homemade Simmered Seitan is my go-to when I have the ingredients available. Oh and this is grilled in the English sense… so broiled to all of you in the states! Chop the seitan into 1-2 inch chunks, and slice the onions into thick wedges. 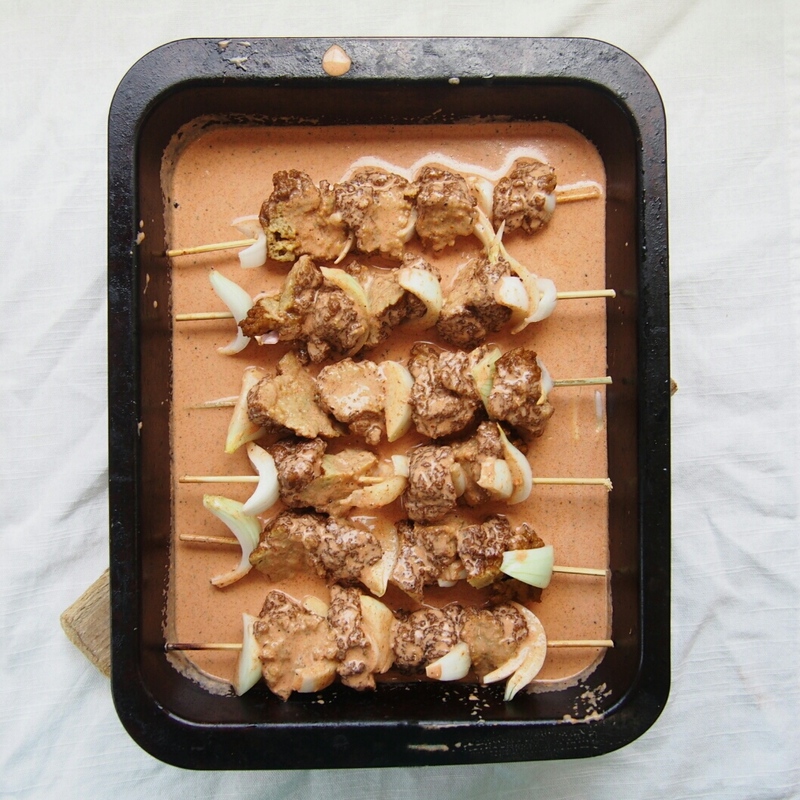 Arrange the seitan chunks onto the bamboo skewers evenly, with a wedge of onion between each piece of seitan, set aside as you prepare the sauce. 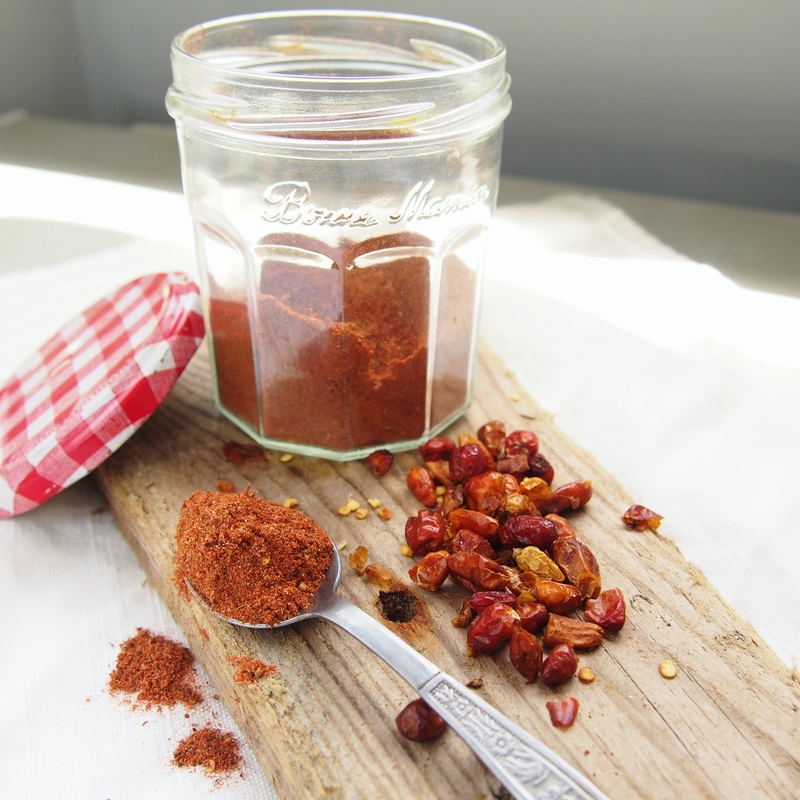 Place the coconut milk, spice mix, tomato paste and garlic in a blender and blend until combined. Turn on the grill/broiler to a medium high heat. 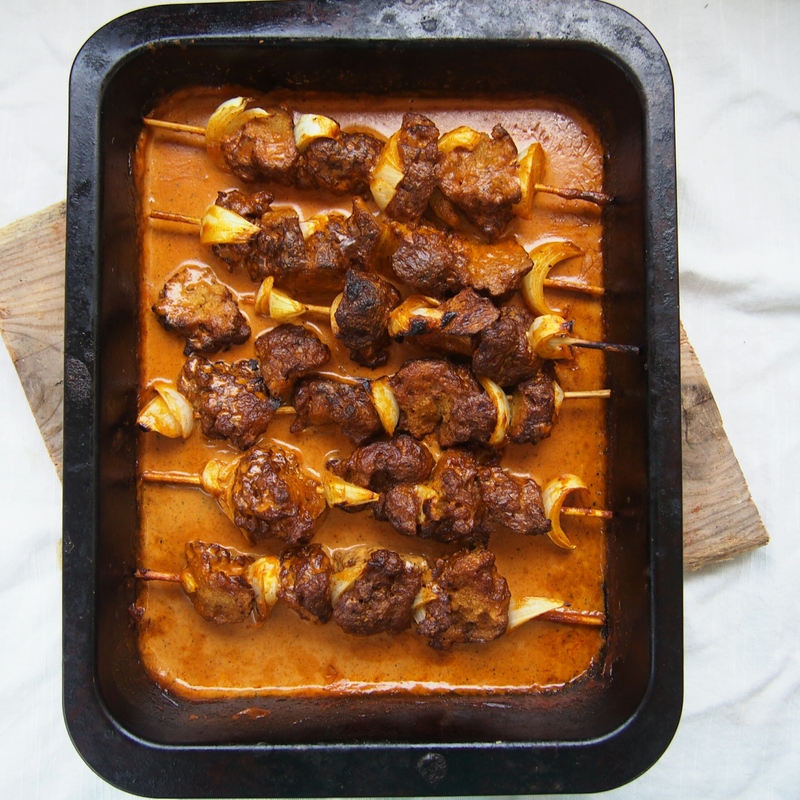 Place the seitan kebabs on a baking tray with high edges and cover with the sauce. 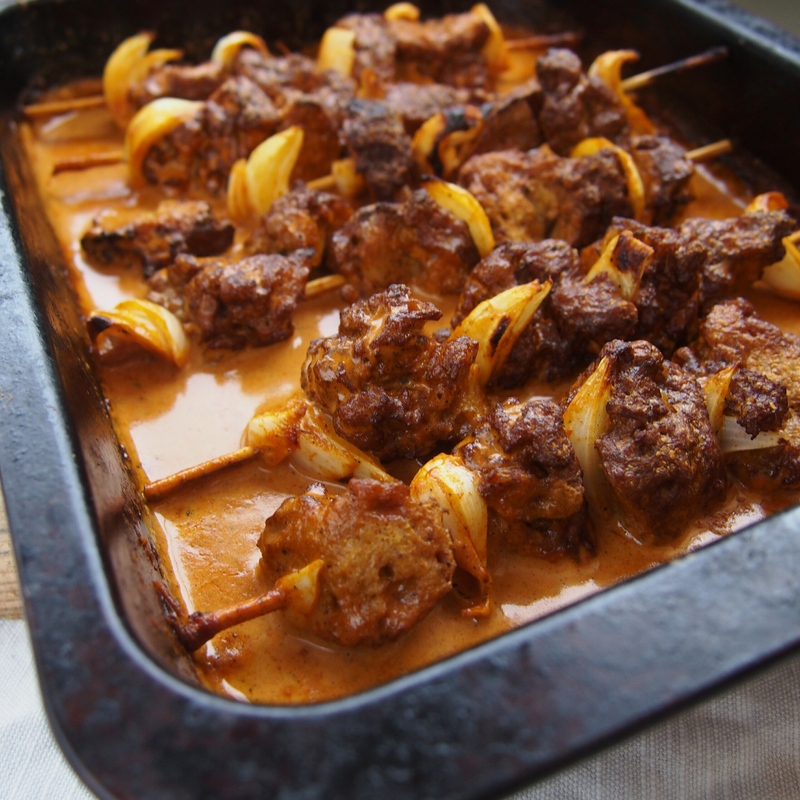 Make sure that the kebabs are coated in the sauce then place under the grill. Grill/broil until the top starts to brown, maybe 5-10 minutes, remove and carefully turn the kebabs over in the baking tray to grill the other side, recoating with sauce if needed. Cook until the kebabs crisp up a bit and have slightly blackened edges, approximately 10 more minutes depending on your grill. Enjoy! Whizz everything up in a spice grinder/coffee grinder/ pestle and mortar until ground and combined. Store in a clean air tight jar alongside your other spices.